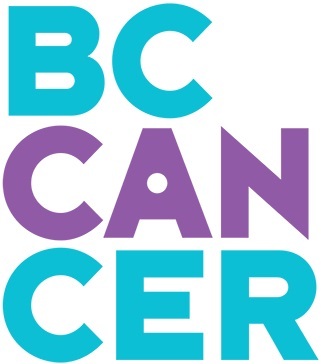 This video was filmed at the BC Cancer Agency as part of combined Provincial Radiation Oncology Patient and Family Counselling rounds and for the purposes of www.cancerandwork.ca. Ms. Hayman discusses legal principles that guide long-term disability claims, different medical and insurance perspectives, how physicians can address invisible disabilities with insurance providers, as well as tips on how to communicate with insurance providers about disability claims. Disability insurance may be one of the employee benefits contracted by your patient’s employer, union or employee association. If a claim is accepted, disability insurance can provide income (consistent with the terms of the plan) while your patient is off work due to illness or injury. To assess the claim, the insurance provider needs information about the medical, psychological and cognitive challenges that affect your patient’s work ability even after they recover from cancer treatment. Giving the insurer this information is important, so they can decide whether to uphold the claim. Without this information, the insurer may stop benefits to your patient. It is best if all the patient’s doctors are aware of all the challenges (medical, psychological and cognitive) that might affect the patient’s ability to return to work. The doctors will need to consider these challenges when completing forms for insurance providers. Some insurance providers have their own in-house physicians, although the family doctor’s report is usually sufficient for establishing a claim. If there is conflicting information from other doctors (including insurance in-house medical advisors), an additional opinion from a specialist such as an oncologist, psychiatrist, cancer care specialist or physiatrist may be required. Sometimes the opinion of a nurse practitioner will be accepted by insurance providers but not always. Sometimes, the insurance provider will ask your patient to assess their own work readiness. If your patient is unsure on how to determine their work readiness, encourage them to discuss this topic with their physician. Having such discussions is especially useful when the physician has experience in treating people with the patient’s medical condition and has clinical knowledge of its impact on work readiness. From the survivors’ section of this website, encourage your patients to try out self-monitoring techniques. Another relevant section from the Cancer and Work website is assessing work abilities. This last section can provide valuable information to the patient and healthcare providers and aid in assessments for insurance providers. If there is still uncertainty about the patient’s work ability, physicians have the option to recommend that insurance providers fund professional assessments that may help clarify work ability. To hear more about research on determining work readiness and how cancer survivors can work with their healthcare service providers to determine work readiness, view this video by Mary Stergiou-Kita, PhD: Determining Work Readiness Following Cancer. To read more about work readiness, see Am I ready to return to work? Assisting cancer survivors to determine work readiness by Mary Stergiou-Kita et al. 2016. After the insurer has approved the claim and the patient is receiving benefits, the treating physicians may be asked to report on the patient’s progress and to estimate their work readiness date. The insurance provider may also ask the patient to apply for Canada Pension Plan Disability to offset the insurer’s costs. The patient’s physicians will likely be asked to fill out Canada Pension Plan Disability medical forms. Once your patient has established an insurance claim, a case manager will likely call to assess their progress. The case manager may also expect a physician to submit updated medical reports or forms, most often after treatment. However, even when your patient is receiving treatment and does not feel close to returning to work, the case manager may still want updates. Want the employee to stay mindful of planning to return to work and prepare for their return as their health improves. Want to find out when the employee might return to work as this may influence the claim. Want to make sure the employee is getting all the medical treatment they can and doing everything in their power to recover. May want to find out when the patient will see their doctor again. After that date, the case manager may ask the patient for the doctor’s opinion or send a form to the doctor to complete. May look for opportunities to offer rehabilitation services to help the employee recover faster and get back to work sooner. To help your patient manage how to respond to a case manager’s call, encourage them to read our guide communicating with your insurance provider. Often, long-term disability insurers only fund rehabilitation services if they are likely to help your patient get back to work sooner. You can recommend to the insurer that your patient receive rehabilitation services. However, if the claim is likely to end soon because your patient is no longer eligible, the rehabilitation will not likely be funded. The claim may end, for example, if the patient can no longer work in their former occupation but could work in another position. This is all the more reason to encourage your patient to not delay returning to work more than needed and recommending that their insurer fund services to help them return to work as soon as possible. If you feel your patient will be employable but unable to return to their former job, recommend that the insurer fund vocational rehabilitation sessions as soon as possible. This will give your patient time to prepare for an alternative occupation and find a new job before their disability benefits end.